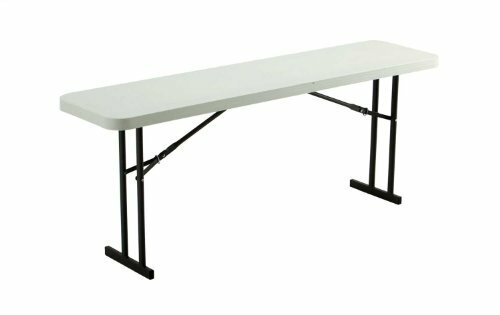 Lifetime 6-Foot Folding Conference Tables are constructed of high-density polyethylene and are the perfect size for a seminar or conference set-up. They will not crack, chip or peel, and are built for indoor and outdoor use. The patented steel frame design provides a sturdy foundation and is protected with a powder-coated, weather-resistant finish. Built for the rigors of demanding commercial use, Lifetime 8-Foot Folding Conference Tables meet BIFMA standards.